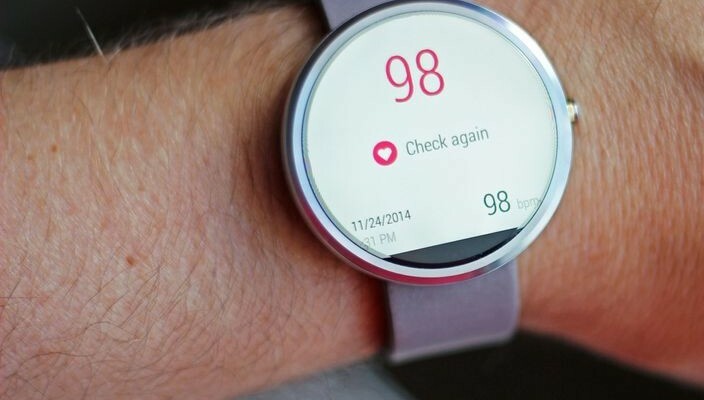 It is here, the second generation of Moto 360 2015. To confuse these watches come with the same name to confuse all even more, they are available in two sizes (42 and 46 mm), and in addition their characteristics are slightly different from the Moto Sport 360. In this review, we will discuss our impressions of the new smart watches on from Motorola. First of all, if you are a woman who is interested in the intelligent watch, the 42-mm Moto 360 2015 – this is what you were waiting for. 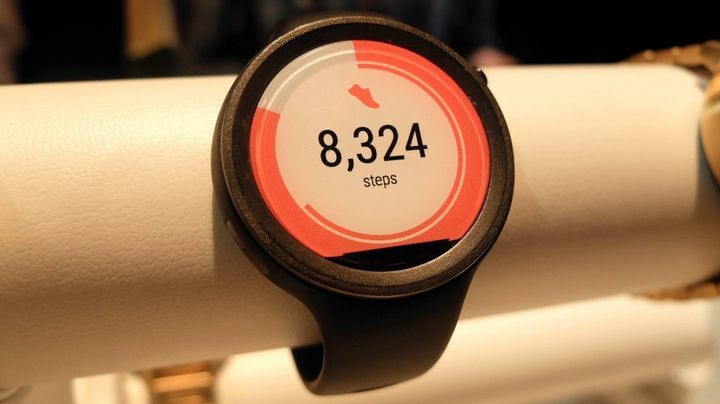 This is the first Moto 360 2015 Android Wear, which do not look stupid on your wrist. Of course, they are still bulky, but relatively compact and look like jewelry. They will look like clock-boyfriend that look great on a woman’s wrist. 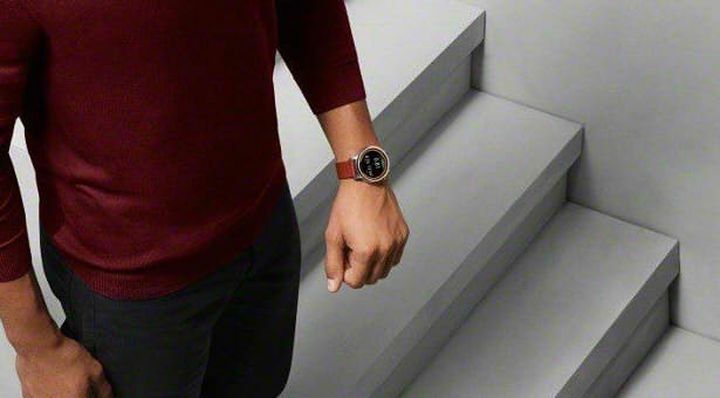 Place the 46-mm Moto 360 2015 next to the watch of the first generation, and you will see the small differences that make their design more like the design of the “hours” instead of a circle on the strap, which we saw last year. The wheel is slightly shifted upwards, the frame has become more refined, and the watch were special tabs for attaching to the strap. And they are arranged differently in the male and female models and depending on the width of the strap. Clever. Motorola has mentioned the new level settings Moto Maker, and we managed to see some of them at the show as well as many gold-plated models and the new pale pink leather strap. When they lay on the table in a disassembled form, it does not like a single unit. Now he saw someone at a party hours of the second generation of Moto 360 2015, you can not be afraid that they will be the same. With such a variety of models, the chances of that are slim. The dark sector in the lower part of the screen is still there. 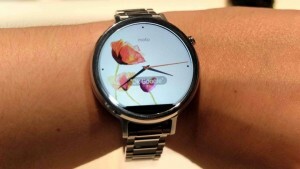 Considering the 0.6-millimeter rim Huawei Watch, it is a bit disappointing. 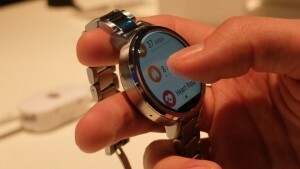 Round display of smart watches quite sensibly, and now offer a similar options LG, Huawei, and Samsung. We do not know, it is important for you or not. But, in our view, for the very reasonable £ 229 is quite acceptable. 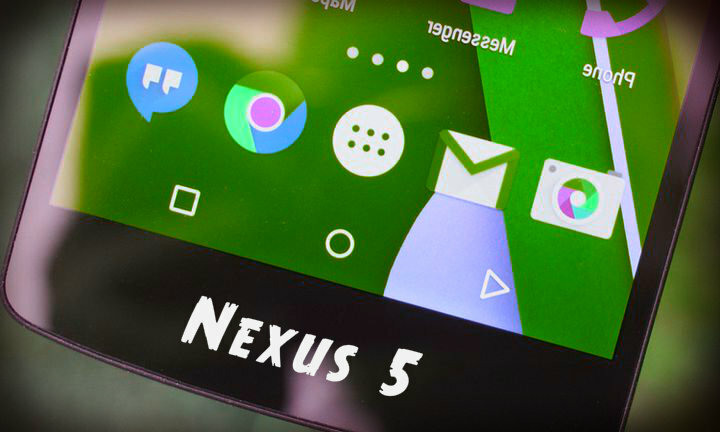 We quickly tested the new Moto 360 2015 and have noticed that the new Snapdragon 400, appear to be good at their job. Last year, with the clock we had some problems. This time, we did not notice anything. Another serious improvement was an increase in battery life of up to 2 days at the Moto 360 2015 and Moto 360 Sport, but we have not had a chance to check it. 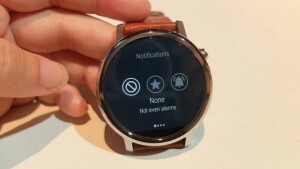 Live clock face from Motorola looks promising, but for hours on the basis of Android Wear it has become commonplace. Nevertheless, they have a lot of new features that have appeared since the last update. Unfortunately, all of the demo unit 360 Moto Sport presented at the IFA, intended to demonstrate the design, so the working samples on hand were not given. However, we clearly discern all the difference: as expected, this model has no interchangeable straps, but silicone strap looks sportier, less expensive and more reliable than the classic Moto 360 2015. The opening of the second generation of Moto 360 come in different colors and are very different in design. With built-in GPS, a UV protection factor of the display and IP67 water resistance is very different hours. We hope that soon we will be able to hold them in their hands. 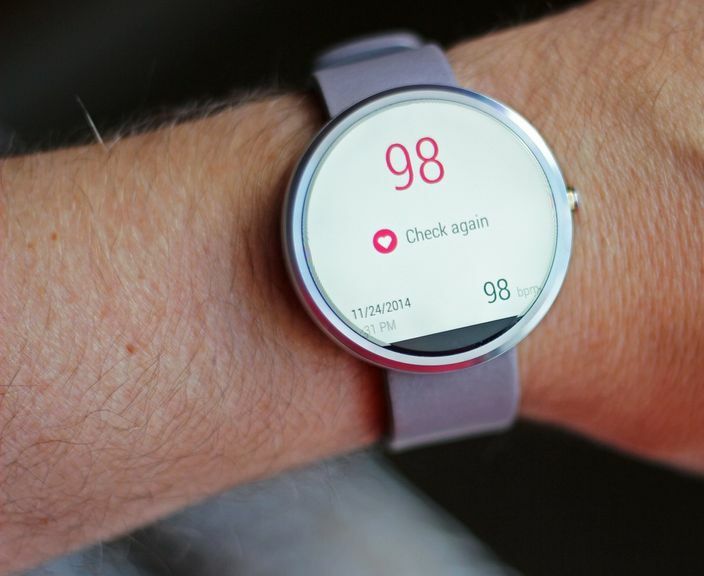 The second generation of Moto 360 watches – that’s quite a feat in design, besides it is the first smartwatch that can please a woman. 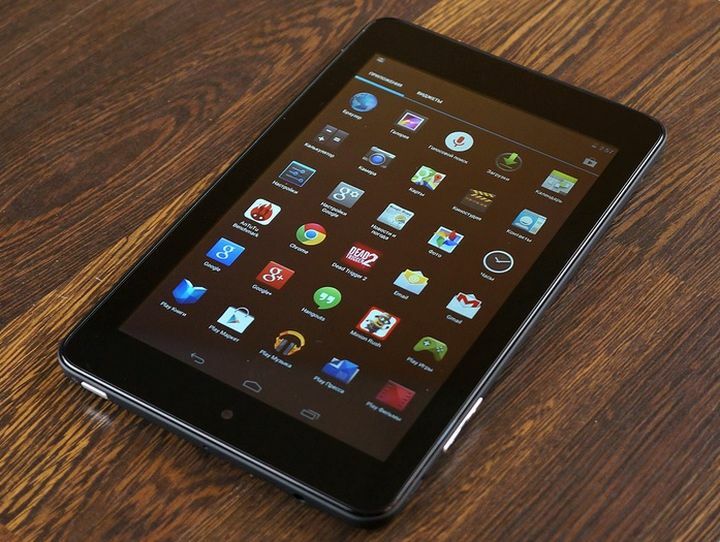 Motorola has corrected almost all the shortcomings of the previous generation devices. Longer battery life, improved performance (which makes sense chip Snapdragon), compact and sports model with GPS – all that you want. Different versions of the settings are also very impressive. 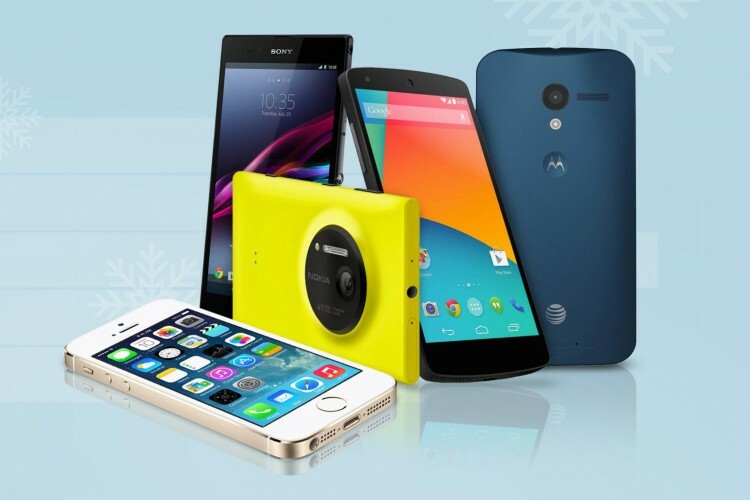 Motorola has ensured that we now all want to wear the same device. 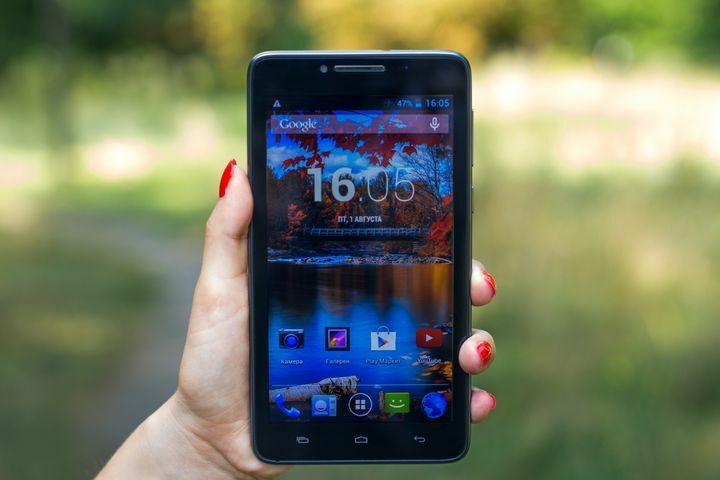 The price of the most expensive model ($ 429) seems much more realistic than the sky-high prices Huawei and Apple. Some may grumble about the dark sector. Yes, it’s really a shame. Also, there were many questions about the 360 Sport. But for now, the second generation of Moto 360 2015 and 360 Sport – this is exactly what we expected, which is good.